Common Sources of Tooth Pain - Thomas E. Cooke, D.D.S. Most people don’t pay much attention to their oral health outside of routine dentist checkups and the daily practice of brushing and flossing. Our teeth and gums quietly go about their business day after day, month after month, until something happens to create dental pain. 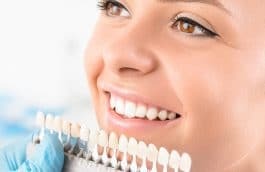 Tooth pain can come in many forms, and each type requires the careful diagnosis and treatment of a dental professional. 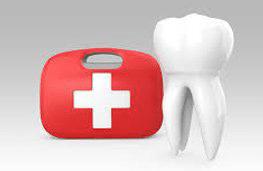 In severe cases, the services of an emergency dentist may be needed. In this article, we’ll go over some of the leading causes of dental pain. To learn more about the treatments of dental pain, talk to your family dentist. Trauma to the teeth – whatever the cause, a sharp blow to the teeth can lead to damage resulting in mild or even severe pain. Sports injuries, car crashes, or simple slip and fall injuries can result in cracks in the tooth surface; the nerve inside can become infected and die, eventually causing pain. A dead tooth nerve may not manifest itself as a painful condition for up to six months after the initial injury. Because of this, it is critical that after any traumatic tooth injury, the injured person is checked by a dental health professional. 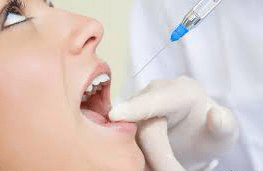 Nerve decay – tooth decay in the form of dental caries (cavities), a cracked tooth, or periodontal (gum) disease can all cause pain if not treated. Initial stages of decay are often without warning signs; teeth and tissues may receive significant damage before any symptoms arise. If decay is allowed to progress, the nerve inside the tooth can also decay, and as one might imagine, this is a very painful condition. 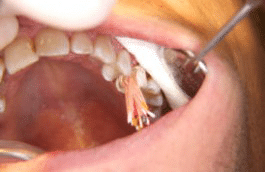 Nerve decay is often treated with a tooth extraction or a root canal. 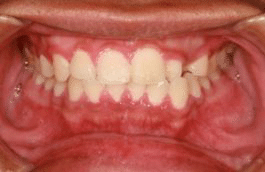 Tooth fractures – as stated earlier, a cracked tooth from injury or trauma can lead to decay. Bacteria can become trapped in the crack, which often exposes more delicate tissues inside the pulp of the tooth – even the tooth nerve may become susceptible to decay. 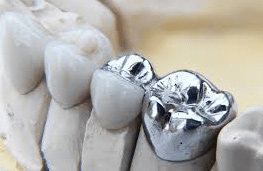 Small fractures may not be visible on the routine x-rays the dentist takes, so it is critical that any traumatic injury to the teeth be checked carefully by a dental professional. 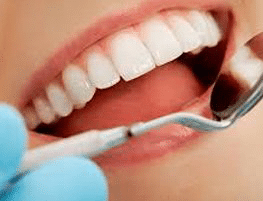 Early detection is key to a favorable outcome; the dentist may protect the cracked tooth with a crown before the situation gets worse over time. Swollen tissues of the mouth – not only tooth damage and decay leads to dental pain. The soft tissues of the mouth are also susceptible to painful inflammation or injuries, too. We’ve all experienced the pain of biting our tongues or the inner lining of our mouths. These simple injuries can actually lead to infection, eventually causing gum disease or tooth loss if untreated. Trapped food particles, such as hard popcorn kernels or stringy pieces of meat or vegetables sometimes cause pain as well. The very best way to protect your mouth from the discomfort of dental pain is to brush and floss regularly. Dental experts agree that twice-daily tooth brushing and daily flossing are the keys to a healthy mouth. 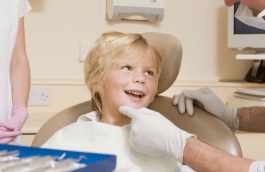 Routine dental checkups are also an important component of oral health. Your family dentist can spot problems before they cause pain. Call your local dental office today for an appointment.